I love being a woman. I like wearing high heels and having armpits that smell nice. I appreciate having doors held open for me, and am grateful when burps (and farts) are kept to a minimum when I’m around. I don’t consider myself high-maintenance per se, just a lady’s lady. And being one of those can sometimes requires a little upkeep. Last week, I had a stretch of “gross days.” You know, the ones when you feel greasy, zitty, flabby, how-could-anyone-think-I’m-attractive-? and blah. And you know what? As bad as that (fleeting) feeling was, I was happy to have an arsenal of girlie stuff that I knew was guaranteed to help me feel better. A nice long bath, an at-home mani, a heels-on night out with my man (who always makes me feel like a million bucks), a big night of beauty rest—every girl needs a handful of simple, inexpensive methods for getting their pretty back, and those are some of mine. Another thing every lady should have? A treasure chest. Because ladies, of course, have a lot of jewelry. I’m lucky enough to have a treasure table. This pretty piece was made by my great-grandpa as a gift for my grandma Mary when she was a little girl (sometime in the early ’20s). But open it up, and behold pretties galore. Most of the little compartments have the original lids, too. Cool right? My dad had felt liners made, one with my initials, MJM. 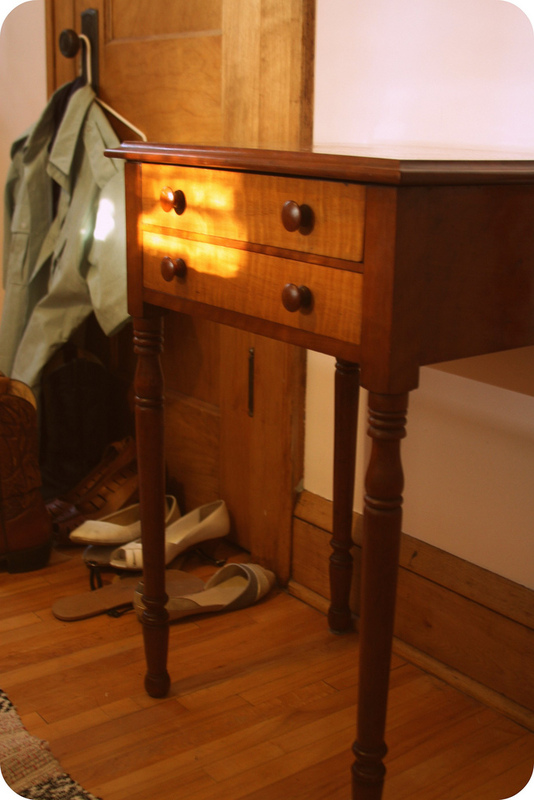 So, where do you keep your girlie treasures? A vintage bowl maybe? A jewelry box, necklace tree, train case or serving dish? If you’re looking for ideas, here are some of my favorites from around the Internets. 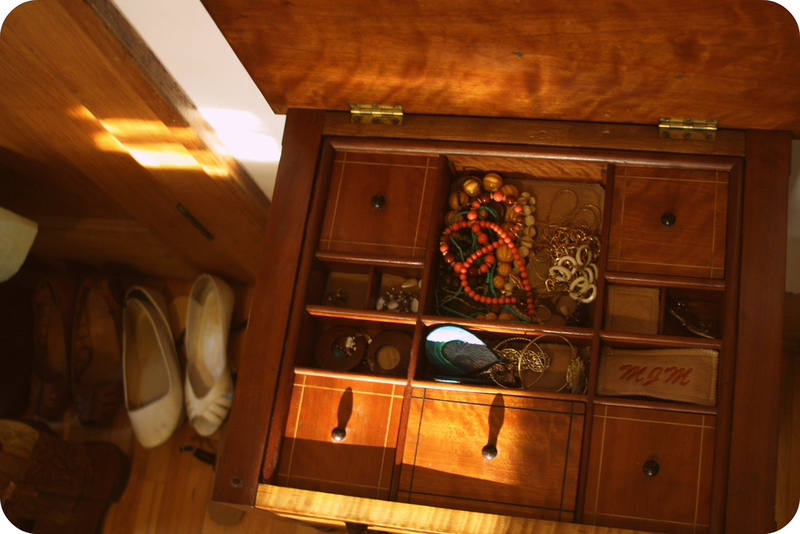 This hidden jewelry box diy from design*sponge has been on my to-do list for months. So cool! 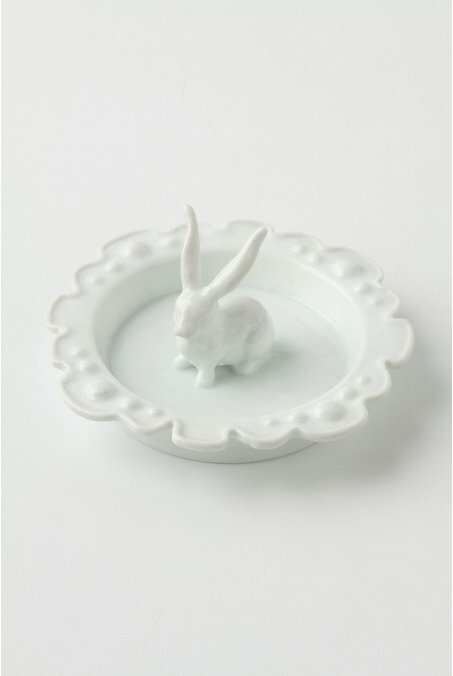 This little bunny ring dish from Anthropologie is too cute! I get excited when I see anything less than a gazillion dollars there, too (this lil plate is $10). I stole this idea from this stand I saw at Urban Outfitters. 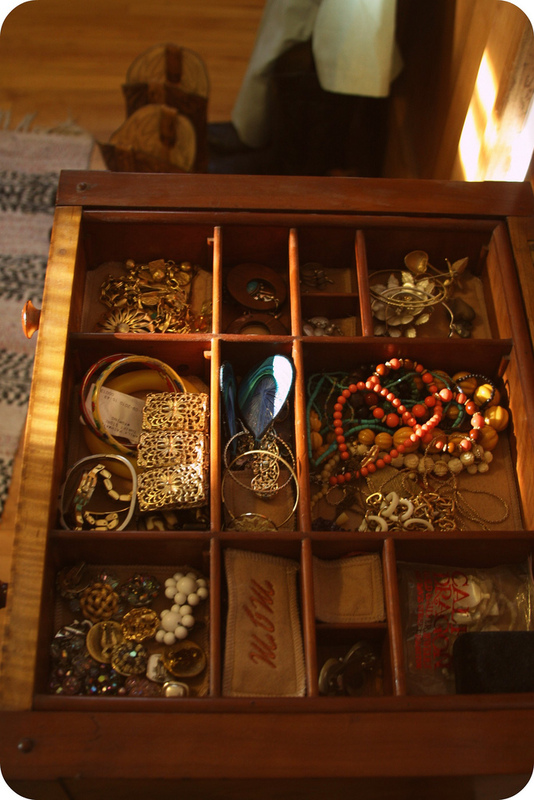 I like displaying everyday objects, like a collection of pretty rings, in a special way. 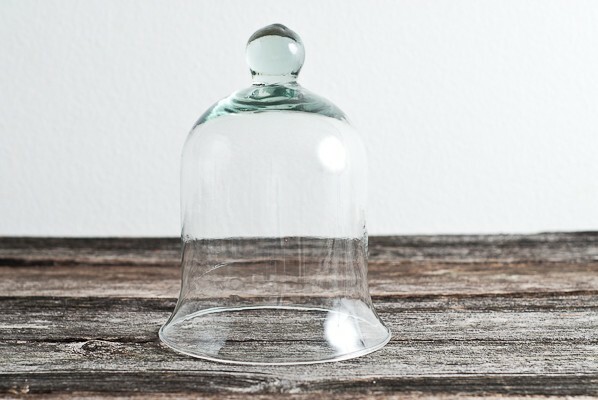 A little cloche like this over a patterned saucer would be adorable! 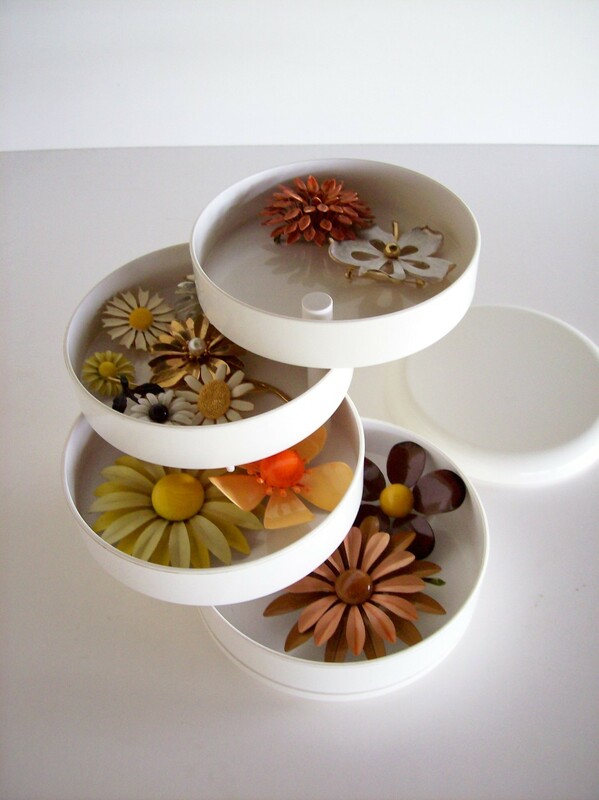 This multi-layered mod plastic jewelry box is sweet. 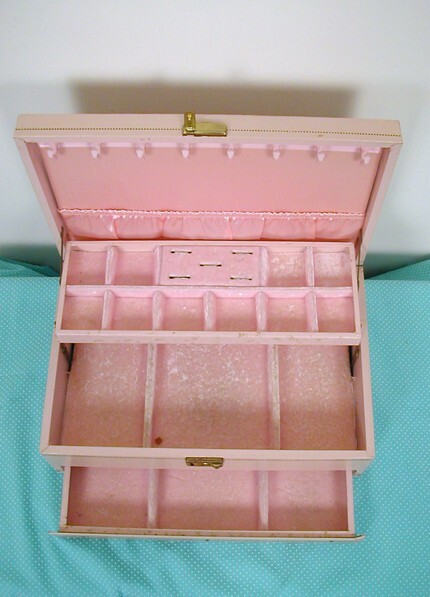 And in the end, can’t go wrong with a classic, velvet-on-the-inside, pink-on-the-outside, jewelry box. This 1950s pretty is on sale, too, for $24. Sweet. This entry was posted in Uncategorized and tagged Etsy, gettin pretty, jewelry, lady stuff, lust list by highplainsthrifter. Bookmark the permalink. 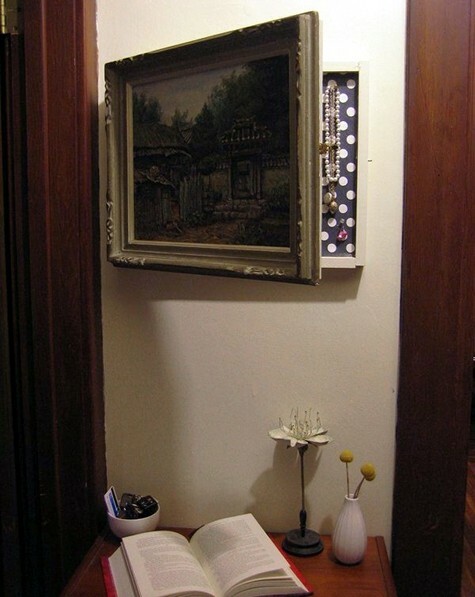 Like that mod jewelry box, showed it on my blog. Full credit was given to you with a link back to your site. Great blog!